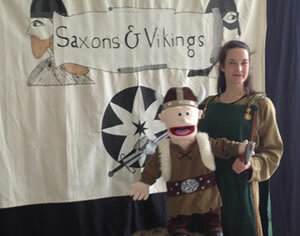 The Sensational Saxon & Viking Workshop, is packed full of fun and facts and gives your topic a real wow factor. The experienced actor will arrive at your school with a pop-up theatre. From the moment she starts telling the gripping story of Beowulf to meeting a Viking Warrior you pupils will be enthralled. The pupils get a chance to meet and talk to a Saxon Lady & Viking Woman, who tells them stories of the invasion of Britain and what life was really like. 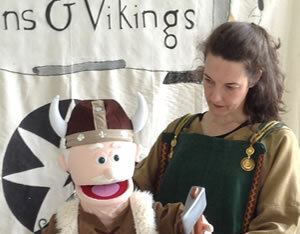 The workshop is rounded off with a chance to row a Longboat and meet a Viking Warrior. 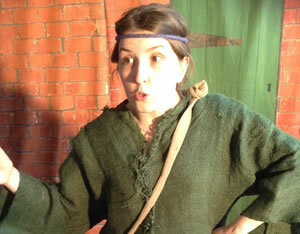 This fully interactive workshop helps pupils to get an understanding of living in the past. The pupils will meet a Saxon storyteller who tells the tale of Beowulf and a Viking villager who recounts the voyages to these shores.